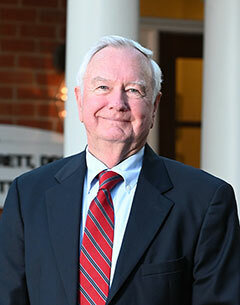 Dr. Leverett Sr. has practiced dentistry in Bainbridge, Georgia for the past fifty years. He's earned a Doctor of Dental Surgery degree from Emory University. He has been the president of the Southwest Georgia Dental Association, a member of the Georgia Dental Association, a Fellow in the International College of Dentists, a Fellow in the American College of Dentists, a Fellow in the Pierre Fauchard Academy, a Director of the Georgia Dental Holding Company, and a Honorable Fellow of the Georgia Dental Association.